NOTE: This is an old article, formerly featured on hockeyquarterly.com. All opinions and jokes are, unfortunately, mine, but are old. So be kind. As a general rule, NHL scouts aren’t known for their lack of thoroughness. Every NHL team has a vast network of scouts, plugged directly into other, lower level, vast networks of the hockey living/eating/breathing type. The whole thing combines into a extraordinarily large, complex and thorough net that catches just about everybody that plays in an organized hockey league. 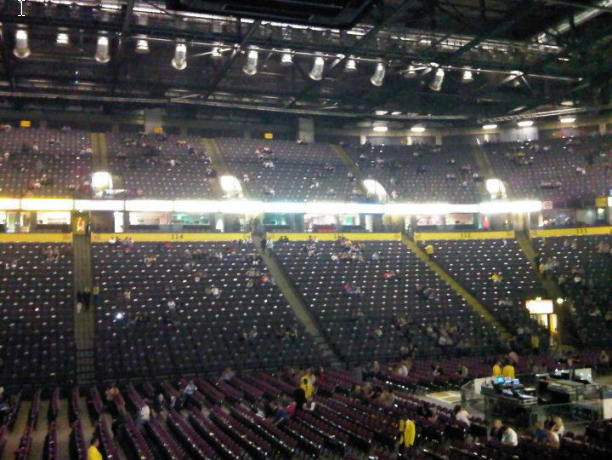 But for all their thankless work (anyone want me to do a top five list of scouts?! *crickets*) and expertise, every once and a while a gem slips through cracks; and when they do, some GM somewhere is made to look very, very good. This is a catalogue of the five biggest mistakes scouts and GM’s ever made. country, must break the laws of his own country and defect). Second, as with most of these types of lists, I’ve limited the time frame to the post expansion era. Since the draft only included a couple of dozen players until 1969, this is really the only way to go. Finally, I’m not including any completely undrafted players because, well, that would be an entirely different list. So, with the formalities out of the way, I bring you, #5! Using editorial license on the first item of a Top 5 list isn’t usually recommended, but these guys are too good of a story to pass up. 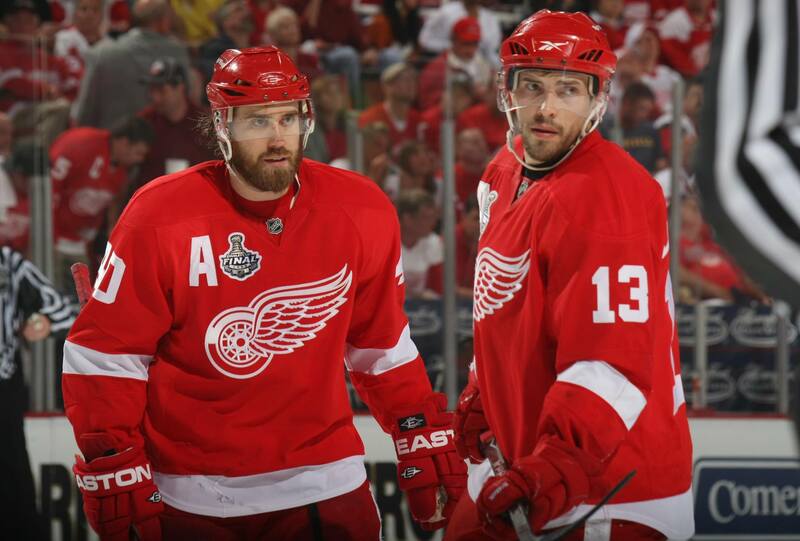 Detroit has built arguably the most stable franchise in the league around the idea that really smart drafting can win you championships (smart drafting and not wasting money on high priced goalies, but that’s for another column) but even the Wings outdid themselves when they selected Datsyuk and Zetterberg in 1998 and 1999 respectively. Between the two of them, they have well over 1000 points, 9 individual trophies, 4 Stanley Cups, 2 Olympic medals (one Gold) and Henrik is the lowest drafted player ever to win the Conn Smythe. Often considered two of the smartest players in the game today, these two are so good for their draft position that the NHL featured them both in a commercial. So, with that, I give you Detroit’s Dynamic Duo at #5. The heart and soul of the Calgary Flames for 10 years, this Olympic/World Junior/Canada Cup Gold medalist only seemed to miss time when it was of his own devices; he played over 80 games in 10 of his 13 seasons (twice having played shortened seasons do to drug abuse problems). Coming in at a generous 5 foot 6, it’s not really a surprise that Fleury was picked behind enough hockey players to populate a small mining town. Constantly being introduced as another one of those “too- short-to-make-it” success stories, he more than made it up for his…ummmm…short-comings, with a feisty temper (read: Punch up in Piestany and 1800+ career PIMS) and more skill than you’ll find in most second lines (read: over 1000 career points). But you can put all that aside, perhaps the most amazing part of Fleury being on this list is the fact that, due to his own personal demons, he had such a short NHL career, playing only 13 full seasons. But when you think of everything he’s gone through in his life, it’s amazing he ever made it to the NHL at all. The only player on this list to be drafted below 200, Dave Taylor may not be as flashy as the other names mentioned here, but he was a rock solid player for years and years and years, was a member of the much feared (and awesome-ly named) Triple Crown Line (with Marcel Dionne and Charlie Simmer) and managed to play his entire career with the Kings. He’s also the lowest drafted player to ever score 1,000 points over his career and that’s enough to secure the #3 spot on the list. Despite major junior numbers so good that they named a trophy after him, Robitaille was drafted mystifyingly low. 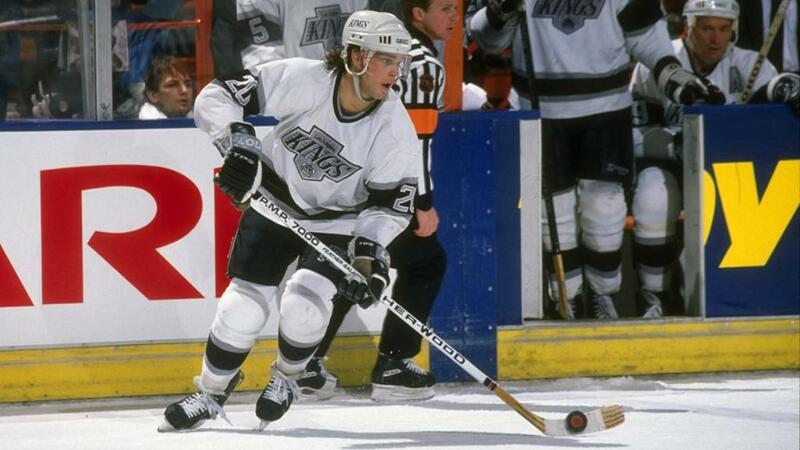 Picked behind Darcy Wakaluk and several arena janitors that were mistakenly picked out of the crowd, Robitaille made a career out of crushing his skeptics, winning the Calder in his first year with the Kings and scoring over 40 goals in each of first 8 seasons. Following in the footsteps of the L.A. King legend, Marcel Dionne, Robitaille continued a tradition of wildly underrated Los Angeles Kings hockey players. Whether it’s a compliment or not, through several trades, Robitaille was traded for Rick Tocchet, Petr Nedved, Sergei Zubov, Kevin Stevens, and a 2nd round draft pick. Oh yeah, and he ended his career as the highest scoring left-wing in history, with 1394 points, not bad for a 9th rounder. Career totals: 1269 GP | 741 G | 650 A | 1391 P | and one very illegal Stanley Cup winning goal. Picked a few rounds ahead of our #2 selection, Hull boasts the most impressive resume of anyone on this list. A list that includes, but is in no way limited to: being 3rd all time in goals, 6th in playoff scoring, a World Cup gold medal winner, having the second highest single season goal total (behind Wayne Gretzky) and the second most career 50/50 seasons (behind Wayne Gretzky). He’s also 21st all-time in scoring and has an adorable smile. But that’s not that’s not the only reason he’s here, Hull tops the list not simply because he has all-world numbers (which he obviously really, really does) but because of the impact he had on the world of hockey as a whole. To give you a taste of what Hull meant to the NHL, he ended his career with fewer points than our #2, Luc Robitaille, but how many people remember riding a “Lucky Luc Toboggan” as a kid? 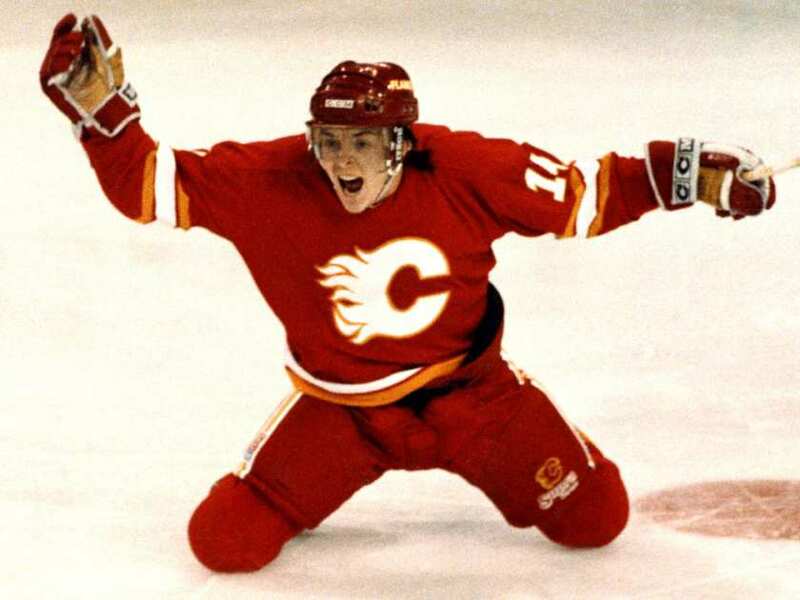 How many Theoren Fleury video games did you play? 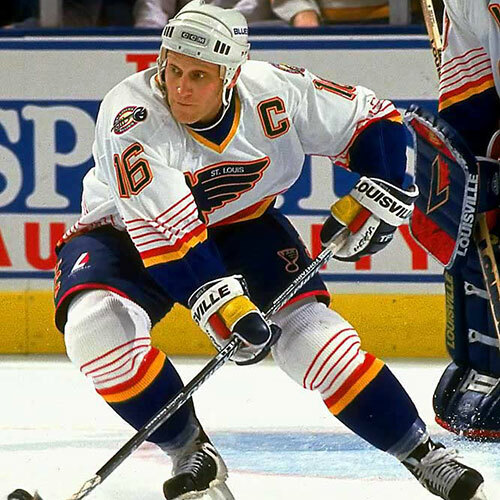 Brett Hull was a rootin’, tootin’, hockey hair havin’, slapshootin’ rockstar, and for that…he tops the list. make it to the HM list based on the fact that two of them defected to the US to play in the NHL, the third had his NHL career shortened by the fact he didn’t defect. Great players, impossible to rank, sorry comrades. We Hopeful Few: Players who have a shot at making this list in 20 years. Jaroslav Halak of stop sign t- shirt fame, was a 9th rounder…the draft stops at 7 now. Henrik Lundqvist might as well have been the last guy in the room at 205th overall! And rounding out what, for some reason, is a category dominated by goalies, Ryan Miller, the franchise goalie who Buffalo was lucky enough to scoop up in the 5th round. Good luck gents, see you in 20 years. 3rd Round’s the Charm: The third round seems to be a great hiding place for some of the greatest players in the history of the sport, and that’s just where you’ll find Nicklas Lidstrom, Patrick Roy and Mark Messier. 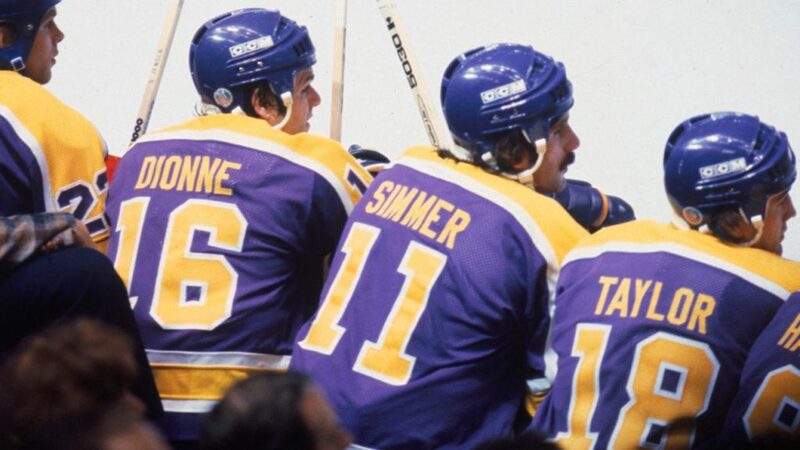 Not just great hockey players, these three (all picked in the third round) went on to be, arguably, the greatest of all time at their respective positions. Unfortunately for them, the third round is a little too high to be considered for the list.